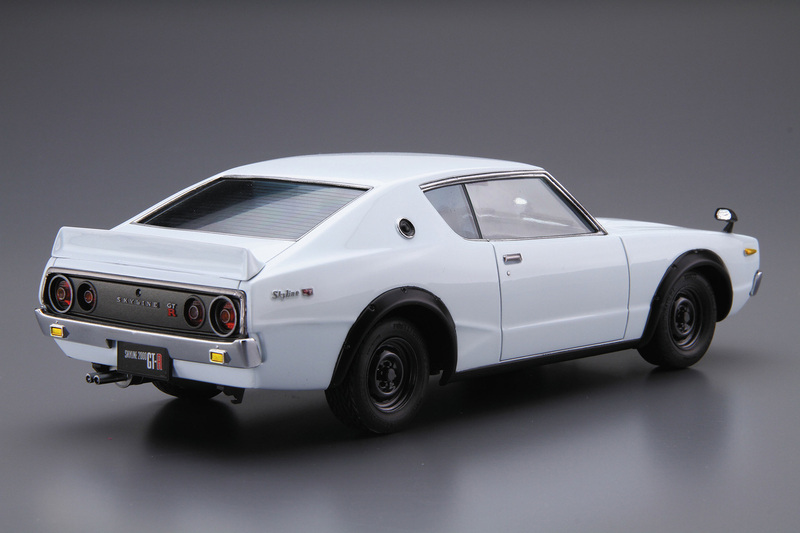 In September 1972, The Nissan Skyline received a full model change with its fourth generation. 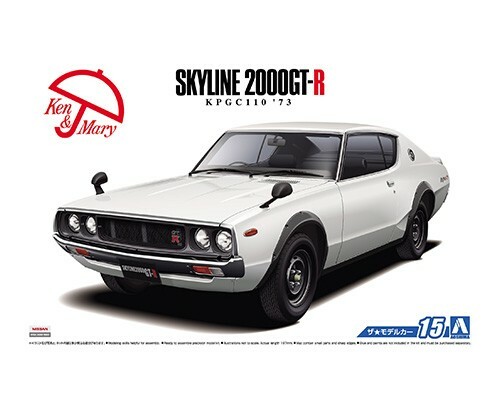 Its C110 series was a great hit, and was nicknamed "Kenmary" after the well-known "Ken & Mary's Skyline" commercials. At the 19th Tokyo Motor Show that same year, the Skyline hardtop 2000GT-R racer was exhibited and the Kenmary GT-R's popularity climaxed. However in the following January, the GTR's dependence on high-octane unleaded gasoline prevented the car from meeting the 1973 emissions regulations. Consequently, only about 197 cars were manufactured (the exact number is debatable) and only 195 were ever sold. This is a plastic model of the Kenmary GT-R. 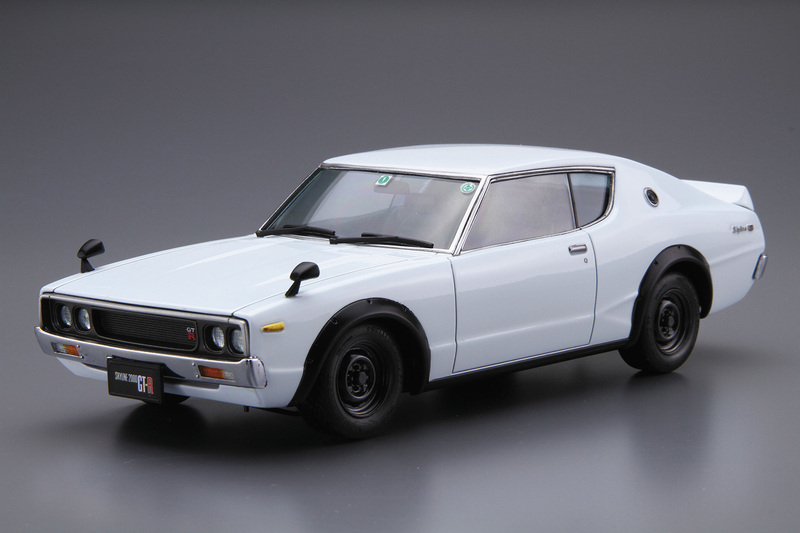 The molds were designed and developed in the 1970s and consequently it is not at the same level of replication quality of today's standards, however with the extra features such as an adjustable height chassis and custom parts like eight spoke wheels, you can create a Kenmary GT-R to your liking.